Yea Golf Course was in excellent condition with 17 players enjoying the day. Alan Pell (11) was the winner on CB with 38 stableford points from Ian Jones (36). Terry Chaplin with 35 points was third on CB from Bruce Kindred. Alan won the NTP on the 14th and Bill Dredge won the Club Award. Congratulations to Adrianne Anglin, Vicki Clements and Di Elliot for being the winning team at Thursday’s Yea Bowl. No doubt their recent Overseas practice of 54 holes in New Zealand worked a treat! 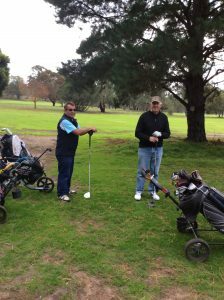 Bill Dredge and Rob O’Halloran on the sixth tee. 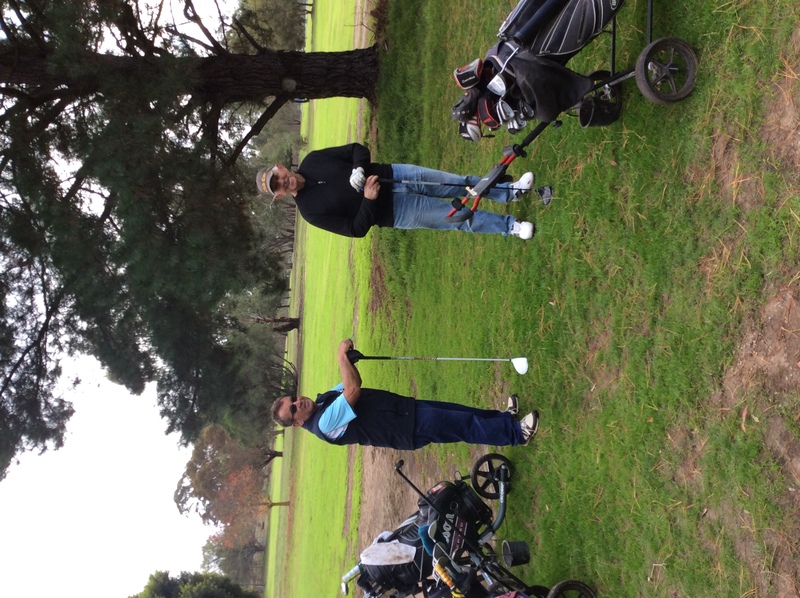 Michael Spagnolo has done it again to win Wednesday’s Men’s Competition with a handy 30 points on CB from Peter Johnstone (2nd) and Alan Pell also on 30 points. Peter also won NTP on the second. Bill Dredge was the club award winner From the nine starters, stating that he achieved it easily! Good to see that Captain Gary has returned from NZ and has announced that Wednesday’s Golf will start at 8:30 am from next week.